Château de Montfort is a castle located in the Vitrac commune, and it overlooks the Dordogne River. It has been involved in a number of extensive battles over the years, but it is in surprisingly good condition. Most of the renovation work was done during the 1800s, and it is now open to the public to tour. Château de Montigny has a Renaissance architecture that gives it a very elegant overall look. You can visit this castle and explore the vast number of furnished rooms. There is a large park that makes up the grounds with numerous gardens and walking pathways. It overlooks the Loir Valley, making it a truly idyllic locale. Château de Montreuil-Bellay is made up of medieval and Renaissance architectural styles, giving it a unique that is all its own. The interior of this fortress is open to those who wish to explore. Here you will find a large medieval kitchen as well as many rooms with antique furniture. The gardens outside are great for strolling through with your family. This castle was built in the 13th century by the Cathar resistance as a fortress that would keep them safe from their enemies. It is situated on a mountain over 1,200 meters up, which makes for one spectacular view. There is a village at the bottom of the mountain with some small shops and places to eat for visitors. Montsoreau is a charming little village that has some amazing historical landmarks, including a castle that was built in the 1400s. It is located near the Loire River, and the landscape is indescribably beautiful. This is one of the more popular landmarks for tourists, and you should have it on the top of your list of places to visit in France. Château de Murol is a fortress with a clear medieval architecture that was once a very important stronghold for the French. Certain parts of this structure have been changed over the years, and it is still in fairly good condition considering its age. This is a great place to visit for those who love this sort of architecture. Najac is a lovely little village and it has a striking gothic-style church as well as a 13-century fortress that was once home to royalty. Today this fortress can be toured on the inside, allowing you to see the barracks and other areas close up. The entire region is very idyllic in its sprawling landscape. The Niort Keep is an old fortress from the 12th century that is made up of two main towers and a primary structure that was added in the 1400s. There are many rooms within this structure that you can go through on a guided tour. The museum in this fortress is very educational and has lots of interesting artefacts. The medieval castle in Nogent-le-Rotrou looms over the Huisne Valley, providing those who visit it with an unforgettable view of the breathtaking landscape below. It has two huge towers and stands amid some very old houses in the area. There is a festival in this area each year is a lot of fun. You will find that the Château d’Ô is a remarkable sight that you’ll want to visit before going back home. This 15th-century fortress has an obvious but detailed gothic architecture that astounds thousands of visitors each year. The interior is made up of marble, and the Great Gallery is very impressive. Oiron is only 13 km outside of Thouars, and the castle that is located here is very impressive in every way. The main building was constructed in the 1600s, and it houses a gallery of Renaissance artwork and tableaus that you don’t want to miss out on. As strange as the architecture is, it is a sight you’ll remember for years to come. Château de Pau was used as a fortress during the Renaissance period, and it was also where Henry IV was born. Those who visit this castle will now find a number of beautiful tapestries, some of which are over 400 years old. This castle has a number of gardens that make up its landscape, and it’s a wonderful place to relax while learning about France’s history. Château de Pesteils is situated on a jagged rock formation overlooking the Cere Valley. It was constructed in the 13th century and measures 40 meters in height. The bedrooms in this castle were painted in the 1600s, and they have been remarkably preserved. There are night tours by candlelight during the summer and daylight tours throughout the year. Château de Peyrepertuse is positioned over the beautiful countryside, giving those who come to see it a spectacular vantage point. This structure played an important part in French history, and you can learn all about it on the guided tours that are given here. There is a path that goes from the car park all the way to the castle. Château de Pierrefonds is a towering fortress that features two enormous towers and an immense main building that you can explore. You can easily spend all day wandering around inside this massive structure, and the guided tours will teach you all about its history. This historic landmark has been featured in a number of movies over the years. Château du Plessis-Bourré is one castle that you won’t forget anytime soon. It has been used in numerous films because of its fairytale aesthetic. All of the rooms inside this castle feature antique items that date back hundreds of years. It is a perfect example of beautiful Renaissance architecture. This 12th-century castle has sustained a decent amount of damage over the years, but it was restored in the 1400s. It was built to withstand enemy attacks, but today it is just a popular historical landmark and tourist attraction. The chapel, main salon and furnished rooms within a new structure are absolutely magnificent. Château de Pompadour was built over a former fortress in the 1400s, and it underwent some major repairs by the 18th century. It is considered one of the more important historical landmarks in France, and it’s one you don’t want to pass up. The terrace gardens outside of the castle make for a very scenic walk. In the city of Avignon, you will find an old 14th-century Gothic palace that is truly one-of-a-kind in every way. This building is in remarkable condition due to numerous restorations over the years. 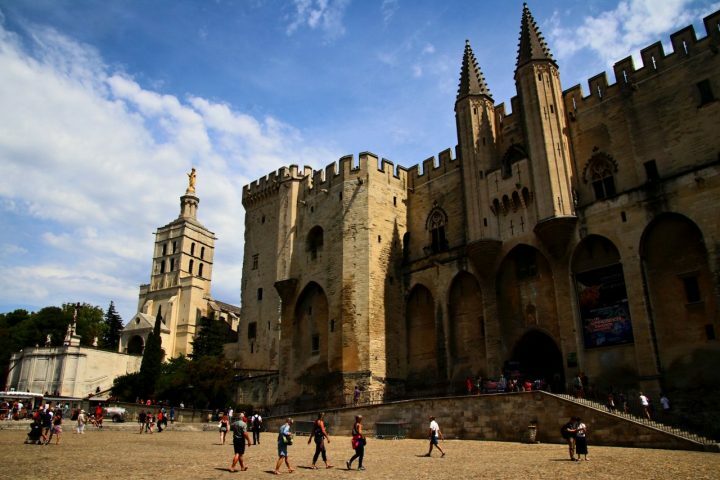 If you happen to visit this castle, you should try to catch the Avignon Festival, which happens each year in the summer. Château de Portes was built in the 11th century, and it kept the pilgrims who travelled to Saint-Gilles. The Renaissance architecture of this old structure is quite amazing, and those who visit will be able to see the Cevennes valleys in all their majesty. This is a really beautiful place to visit as a whole. Measuring nearly 700 meters tall, Château de Puilaurens towers over the Boulzane valley. Its medieval architecture will be sure to take your breath away when you see it. There is a path that you must follow to get to the castle, but it is well worth the walk when you finally arrive. The 35-meter tall keep of this castle makes it quite an impressive sight for those who have never been here. There are four different rooms that you can explore in this old 13th-century castle, including the Musician’s Room. It may not be one of the larger castles in France, but it is still worth visiting. Château de Quéribus can be found close to Cucugnan village. This structure is situated on a hill nearly 750 meters up, which makes for a stunning view of the majestic landscape surrounding it. It played a crucial role in the Albigensian crusade, and today it houses a museum that features artefacts that are over 400 years old. This fortress is located in a huge nature park where all kinds of wild animals can be spotted. It was built during the medieval period and went up against invasions from many opposing forces, but it stands strong today. If you want to see some of the beautiful landscape France has to offer and love history, this is a great attraction. Rambouillet is a town that is known for its extensive history and art. The 14th-century castle that resides here is one of its big attractions, and it’s easy to see why when you see it in person. Even the exterior of the castle is quite impressive with its lush gardens and greenery. Château de Rambures was once an important fortress for the French in the 1400s. It is made entirely of stone and brick, and it’s very well-preserved. Henri IV was known for staying here, and its history is fascinating. There is also a lovely park and rose garden outside the castle. Château de Ravignan is located in Perquie, which is a commune in southern Armagnac. It sits in the middle of a sprawling park, which makes for some incredible scenery. Built in the mid-1600s, this castle features many old drawings and antique furniture pieces. This is definitely one of the more interesting historical landmarks in the entire region. Château du Rivau is a medieval fortress that is located among some truly amazing gardens. You can go down the main path to look at all of the beautiful plants and flowers that grow along with it. The castle itself has a truly enchanting aesthetic that will make you feel like you are in your very own fairytale. Château de Rochebonne sits atop an ominous-looking rock formation, and its rugged landscape is truly awe-inspiring. It is located in Saint-Martin-de-Valamas, which is in a huge nature park. This is the ideal place to visit for anyone who wants to experience the natural beauty of France while learning about its history. Located where the Graine and Vayres rivers meet, this Renaissance period castle dominates the landscape. Today it is filled with modern art from a number of very talented French artists. This is one gallery that you don’t want to miss. You can go on a guided tour any day of the week throughout the year. Château de Rochemaure was erected in the 12th century, and it still has much of its original beauty intact. The Fare quarter of this structure has been rebuilt over the years, and it is quite a spectacular sight. At the bottom of the castle, you can still see the remnants of the old chapel that was once there. Château Rocher is located in a park that is filled with exotic plants and flowers. It is highly recommended that you take a nice long stroll around the park before going to the castle. Construction on this building started in the 13th century, going all the way to the 1500s. Château de Roquetaillade is one of the older castles in France, having been built in the 12th century. It isn’t quite as well-preserved as some of the others, but it is still a remarkable sight to behold. There is a museum within the castle that will give you some insight into what rural life was like here hundreds of years ago. Castle of Saint-Jean de Beauregard is available for guided tours from March through November, and it is a spectacular historic attraction. This castle has a kitchen garden that was originally designed in the 1600s, and tall oak trees all over the grounds. This is a very beautiful place to visit when you are in France. Château de Saissac was constructed all the way back in the 10th century, and improvements have been made over the years. The last time that this structure saw any real renovations was in the late 1500s. There is a museum here that displays some of the artefacts from the area, which are amazing to see up close. The 15th-century fortress known as Salses is another great historic site in France that you should try to visit. It was built at the demands of Spanish royalty, and now houses a number of art pieces by modern artists. This attraction is the perfect combination of art and history for tourists. Sarzay is an old fortress that was built in the 14th century, and it has been the inspiration for numerous romance novelists over the years. There are five tours and numerous moats that surround this structure. It is fairly well-preserved, though it used to have nearly 40 towers in total. Saumur is a beautiful town surrounded by vineyards, and it is also home to a castle that was built in the 16th century. This castle is now a museum of decorative arts with some gorgeous pieces inside. The exhibitions change throughout the year, and it is a wonderful historic attraction to see if you are visiting France. The Ouvrage Schoenenbourg Fort was once a very important military installation that helped soldiers fend off invading forces. It has indeed seen much better days, but the numerous reconstructions have kept it intact more or less. You can take a guided tour to learn all about the role this structure has played in France throughout the years. 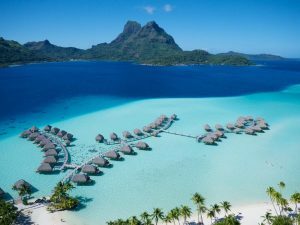 Sedan is a town that is best known for being a place of fascinating history and beautiful works of art. The medieval fortress that is found here was built over four hundred years ago, and it goes up a total of seven floors. You can explore this massive castle with a guide to learn more about it while marvelling at it unspoiled beauty.